Discover landscapes so magical they could be fantasy, from forbidden forests to sweeping glacial valleys. 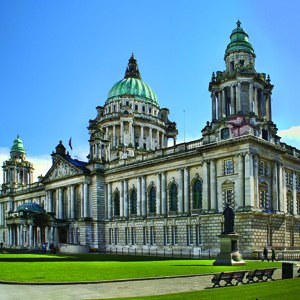 Home to golfing greats, rugby warriors, and road racing Kings, Northern Ireland is quickly becoming the key destination for many international sporting events. Get on your bike, tee off at a top-quality golf course, or step into your running shoes and become a part of this amazing sporting year. From the buzzing streets of Belfast to the rocky coastal towns, there’s plenty of palate-pleasing offerings to pick from in Northern Ireland, but seafood definitely stands out above the rest. Thank the icy northern waters. Cap off your meal with a glass of Bushmills Whiskey at Ireland’s oldest distillery. Stretching 195 miles from Londonderry round to Belfast, the Causeway Coast is a popular road trip route, thanks to its cinematic cliffs that loom above the tumultuous Atlantic Ocean. Take the captivating coastal road to see the Giant’s Causeway, one of Europe’s most celebrated natural wonders.